OFFTHESTORE - Businessangels.fi - muutakin kuin rahaa. 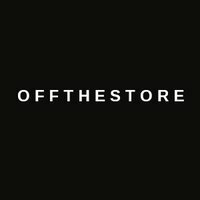 OFF THE STORE is a worldwide fashion search & recommendations engine, which allows to search hundreds of online stores at once. The team is backed by one of the largest media groups in the Nordics (MTV, belonging to The Bonnier Group) and people behind Next Games (exit IPO), Futurefly and Eve-Tech to name a few. Next articleReadEar builds compelling audible products for our partners.